Size: Any Size Meet with Customerâ€²s Requirement. Transport Package: 1poly Bag/PC; 5PCS/Carton. 2. Material in 1680D polyester. 3. Inside trolley system with Aluminum good quality handle. 4. Lining 210D &Â one zipper on inside lid. 6. Color: Various, meet with customer's requirement. 7. Packing: 1Â poly bag/1 PC, 1set/1carton. 8. Payment terms: T/T, 30%as the Deposit, Balance Before Shipment. 9. Customer's design and logo are welcomed. 10.MOQ 300PCS can mix order. 11. Production time :25-35days after got the deposit . Q:Â Can IÂ request samples? A: Yes. as our factory rules ,for our first cooperation sample fee need $77/pc ,after place order to meet our MOQ ,we will refound the sample cost for you. Q:Â Where is your overseas markets? 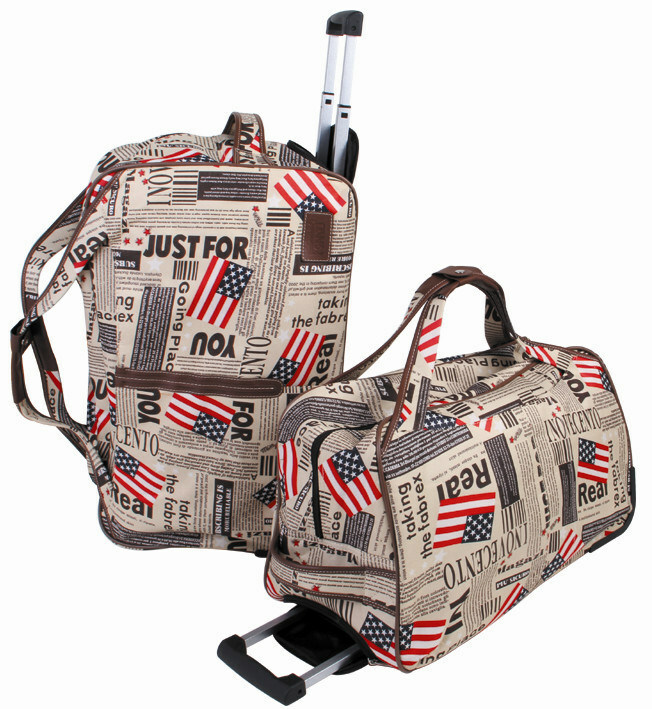 A:We have been in luggage industry for nearly 15 years ,our products are well distributed to many countries such as American ,South Africa ,Dubai, Malaysia,Sweden,Singapore,UK,Germany,India,Nepal,etc. Q:What is your advantage and why we should choose you? A:We have aÂ very professional production line team,can do OEM&ODM with competitive price .also have aÂ good experience sales department,will reply your requiest within 12hours. Q: What can purchasers do if the trolley luggage have problems? A: The trolley luggage we offer one-year warranty. Factory:XiangFeng industrial zone ,Shiling town ,Huadu district ,Guangzhou,China.